Domestic shipments take from 2-6 business days to arrive. We will let you know by email when your order has been shipped. The Tracking Number will be available in "My Account" at NirvanaBeads.com. Go to ->My Orders or Recent Orders -> View -> Order Shipments. International shipments may take from 6-15 days to arrive*. We will let you know by email when your order has been shipped. 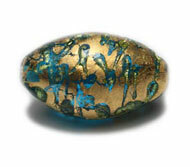 The Tracking Number will be available in "My Account" at NirvanaBeads.com. Go to ->My Orders or Recent Orders -> View -> Order Shipments. It may take up to 5 days after shipping for the tracking number to become active and trackable in the USPS system. *Please be aware that on very rare occasions, packages can get stuck in customs, taking an additional 1-5 weeks to arrive. If you require faster shipping please let us know, but it may cost around $100 - $150. We are happy to accept returns in exchange for your money back on all damaged items or mis-shipments. All returns must be issued within 21 days of receiving your order. A copy of the original invoice must be accompanied with your return. Items must be received in original condition (ie. still on their original strands, etc). Refunds, credits and exchange are generally issued within 5 days of receiving the returned merchandise. Returns on items that are neither damaged or mis-shipped will be exchanged only for credit on future orders. If you earned any quantity discounts or free shipping, these will likewise be subtracted from the value of the returned items. All returns must be issued within 21 days of receiving your order. You may place only ONE return per order. A copy of the original invoice must accompany your return. Items must be received in original condition (ie. still on their original strands, etc). Refunds and credits are generally issued within 5 days of receiving the returned merchandise. Orders that are returned to Nirvana Beads Corp with more than 50% of their original contents or are cancelled by the customer more than 24 hours after the order has been placed are subject to a 15% restocking fee of the value of the returned or cancelled merchandise. Such returns are subject to credit only, no exceptions. Returns on items that are delivered directly by our representatives are subject to the additional fees of commission and traveling expense. We do not accept returns or exchanges of items in our 'close out' section. If your original order was granted free shipping due to the order size, and your return brings your order below the free shipping threshold, the regular shipping charge will be added back onto the order and deducted from the credit of the returned items. For all other returns, please call for authorization and instructions. We prefer that you place your order via the website, as internet orders are given priority status and will be filled much more quickly than orders placed by phone, fax, or email. When you place an online order, you will receive a confirmation email once the order is received. Depending on which tier you are in, there are different minimum order amounts. These minimums are in place to ensure that we remain committed to serving only wholesale buyers. Your firs-time order minimum will be more than all follow-up order minimums. Your order minimum is specified in your account approval email, as well as in your shopping cart. Orders are usually shipped within 1-3 business day after they are received. On certain occasions, during busy times and for international orders, the order may take as long as 5 days to ship after it is received. The web site stock is updated every day with a 95% accuracy. Out of stock items are restocked within 2-3 months with the exception of closeout items. However, this is not guaranteed. We generally do not offer a service for backorders. We offer pricing tiers to suit different types of wholesale buyers. Tiers with higher prices have lower minimums, and are suitable for businesses that require smaller quantities. Tiers with the best pricing have higher minimum quantity requirements that are suitable for larger volume buyers such as stores, wholesalers, and large scale jewelry manufacturers. We determine your tier by assessing your type of business. You may also access higher tiers by reaching certain spending goals. Information on your tier and the amount you must spend in order to reach the next discount level is available on "My Account" -> 'Tier Level Info". We understand some of our customers need a guarantee of stock for a particular bead in order to meet their design production goals. 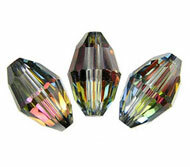 Call or email us at onlinesales@nirvanabeads.com to inquire about product availability and tell us your needs. For items that need to be put into factory production, we require 90 days notice on any item along with your required quantity.